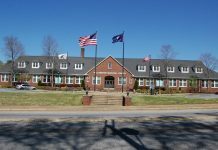 By David Meade – The Town of Williamston is in the process of working on their 2012-2013 budget. The General Fund is budgeted at $2.223,900. The Water Department is budgeted at $1,072,500 while the Sewer Department has a budget of $843,000. The proposed budget was put together by Mayor Carthel Crout and Administrator Phyllis Lollis and reflects the mayor’s goals and objectives for the town over the next year. (See separate story). First reading is expected to be held at the June 4 meeting of town council. A budget work session was held Saturday morning to answer questions and explain the draft budget. Only two councilmen, David Harvell and Mack Durham participated along with the mayor, administrator and clerk/treasurer Michelle Starnes. Crout said Councilman Mike Looper and Tony Hagood had conflicts and could not attend. The Administrator said the budget reflects a decrease in revenues yet had no tax increase. Expected reductions in revenue include: Aid to Subdivision being reduced $50,000; manufacturers exemption (loss of Mount Vernon) $40,000; Palmetto Pride Grants, $2,500; MASC Insurance Premiums, down $25,000; loss of a grant for a police officer, $35,000 which the town is now covering; a decrease in the sanitation department of $26,000 due to reduction of $1 in the garbage fee; and reduction in the hospitality tax revenue of approximately $15,000 due to the Clock restaurant being closed. The town is also expecting a four percent increase in health insurance costs at $12,000 and a rate increase for workers compensation insurance amounting to $14,245. The decrease in the Aid to Subdivision funding provided by the State was made because accountants and state officials have said that the number will be decreased and that municipalities should not depend on it,” Lollis said. The town’s garbage fee, which several years ago was $14 per househould, has been reduced 2 times and is now $7 per household. The fee reductions have amounted to $50,000 less in revenue for the town over the last two years. Mayor Crout said that garbage pickup and other services including limb and leaf pickup should be provided by the town. He said that taxes would not be enough to provide the service without the extra help from the fee. He said that other town’s cost for sanitation service is higher than Williamston’s. The mayor and administrator stressed that water and sewer rates cannot be reduced. Crout said that the town’s water rates are comparable to what other system customers pay, but that the sewer and garbage make it higher. He said the rates are necessary to cover the debt service the town has on its infrastructure. Lollis said the town has recently absorbed a four percent increase in water rates by the Anderson Joint Regional Water System (AJRWS) and is now 17 percent behind with other increases which have been absorbed. The budget includes an upgrade of water lines on Center St. to help increase pressure to the town’s customers. Lollis said the pressure problem may not be fixed until Big Creek Water can connect to the line. The residents are customers of the town of Williamston but are outside the town limits. The sewer budget provides for upgrade of one lift station at approximate cost of $90,000. Crout said the station on Shirley Drive was not included in the recent Waste Water Treatment Plant (WWTP) project upgrade. The budget also includes a tractor with an arm, estimated at $60-70,000, lawnmowers and weedeaters, fencing for the WWTP site, gravel and some paving,all of which will be purchased with funds left as part of the grant/loan for the WWTP upgrade. The budget includes $10,000 for new radio read water meters. The town is purchasing 100 meters each year as they upgrade the system. Councilman Durham said he would like to see that number increased to 200-250 each year. Lollis said one problem was installation, which is done by town employees. Durham said he would like for the town to get a cost comparison on purchaseing more of the meters and including paying for a crew to install them. Responding to a question about the street enhancement project, Lollis said that paperwork for the project had to be resent to SCDOT officials after it was apparently misplaced by SCDOT. She said there had been “a lot of correspondence” recently with SCDOT on the project and Sen O’Dell was asked to help, Lollis said. “It is really amazing how quick we got some response,” Lollis said, after O’Dell became involved. The project has been on the drawing board for about two years and was submitted last year on the schedule requested by SCDOT. Lollis said that the town plans to have no additional capital projects or debt for at least the next 18 months to 24 months. 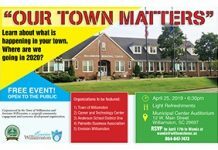 The budget does not include a cost of living raise for employees, but does include a mid year bonus and the town plans to absorb a four percent increase in insurance costs. The town currently pays 100 percent of employees insurance costs, however family coverage is funded by the employee. The town also provides insurance for three councilmen. One councilman and the mayor do not have insurance provided by the town. The town has approximately $920,000 in the capital improvement fund which is close to the $1 million accountants recommend. One factor that could affect water and sewer rates is the water treatment plant bond which will be paid off in November of this year. Lollis said the town is currently paying $25,000 per month for principal and interest on the town’s old water treatment plant and sewer outfall line to the Saluda River. The water treatment plant, located behind the fire department, has not been used since the town went on Duke Energy water system, now Anderson Joint Regional Water System, in the 1980s. Lollis said starting in December, $12,500 of that payment will begin going toward the payment for the WWTP upgrade loan/grant. Lollis said town employees are cross trained and the problems facing the town are handled, basically as a team effort. “We have great employees,” Crout said. The mayor said that the town will be picking up an army surplus generator and Humvee which will be used for emergency preparedness. The generator will provide enough power for the Municipal Center complex during an emergency situation, he said.